If you love a good read but can’t find the time to settle down with a regular book, here’s a solution. Load some audiobooks onto your Android smartphone or tablet and listen while jogging, working out, or commuting to the office. In fact, even if conditions are perfect to enjoy a regular book, audiobooks make a fine alternative. Audiobooks, as the name suggests are simply spoken versions of a book. They come in either complete or abridged format, and are narrated by the author or a professional speaker. And to enjoy them, all you need is the right app. You might wonder why you need a special app. After all, audiobooks are just audio files. So why not just use a regular music player? Resumes playing from where you left off. Lets you set bookmarks so you can go back and review. Organises your books neatly and logically. Lets you navigate intuitively around your library. Show you the chapter and page of whatever book you’re listening to. Displays cover art, reviews and ratings. Allows you to speed up to get through the book faster or slow down if you really want to concentrate. 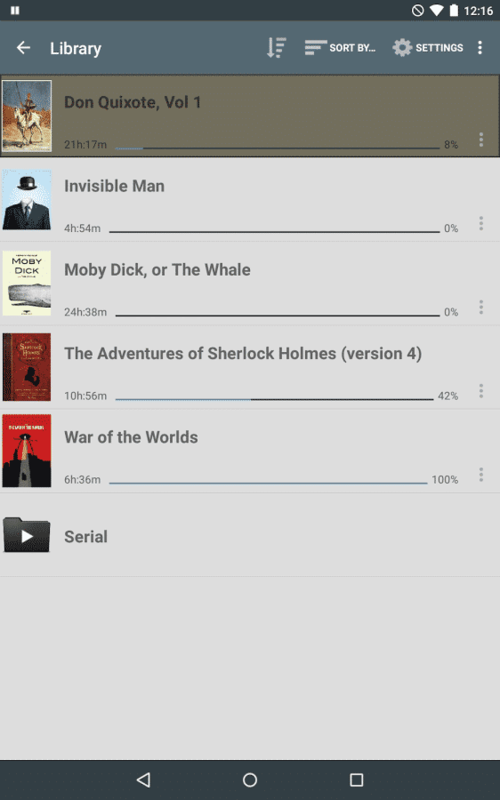 When it comest to finding the ideal audiobook app for your Android device, you have two main choices. The first is to go with an app bundled with a service. That way you buy, download and play your audiobooks within the app. This has the obvious benefits of simplicity and a seamless fit. It does, however, tie you into the ecosystem of the provider. Here are three popular services and their apps. For many users, the name Audible is virtually synonymous with audiobooks. That’s due in no small part to the clout it derives from being part of amazon. Audible currently boasts a massive library of over 200000 titles and the quality is uniformly high with readings by luminaries such as David Suchet and Jeremy Irons. They operate on a subscription basis. You pay a monthly fee of $9.99 for which you get one audiobook along with discounts on others. One nice touch is that they offer a 30-day free trial so you can see if the service is for you. After signing up, just download the Android player from the Google Store, sign in to your account, and choose your audiobooks. You can listen by either streaming or downloading your media. The Audible audiobook player is a breeze to use. It features My Library, Recommendations, along with the player interface itself. At the top it shows you the current chapter and a time bar showing the time elapsed. At the bottom are regular play, rewind and fast forward controls. Other buttons let you set bookmarks and speed up or slow down the speed of the audio. Audible offers one of the easiest ways to get started with enjoying audiobooks. However you are tied to the amazon subscription model. Moreover, some of your products might by protected by DRM (digital rights management). This means they can only be played on a limited number of devices. Plus, while Audible does have an extensive range of books, there is a chance they won’t have the book you want. And when you sign up for a free trial you will get two audiobooks for free! 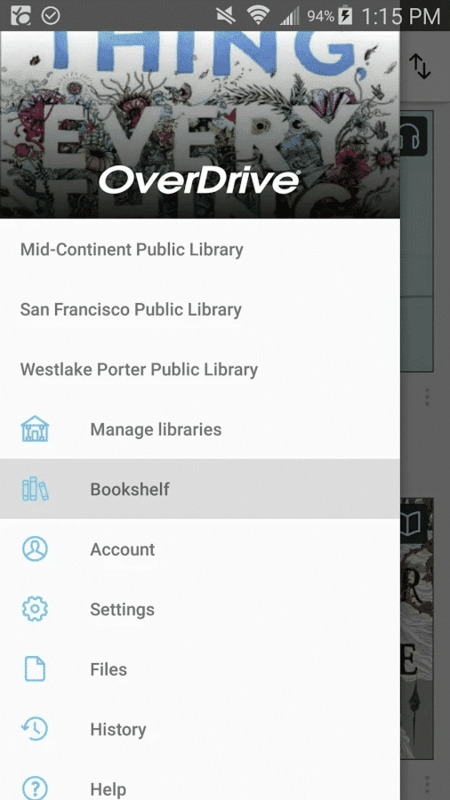 If your local library is well-stocked with audio books, you can use the free Android OverDrive app to borrow them for up to 21 days. Just download the app from Google Play Store or Amazon Appstore. You can also get it directly from the OverDrive site and sideload it. Then, punch in your library card details to browse what’s available. The actual selection of media will depend on what your local library has made available. Audiobooks are only loaned to one member at a time, so your book of choice may be out. However you can place a hold and they’ll send you an email when it’s back. And no worries about late fees as the book is ‘returned’ automatically when your time’s up. The number of books you can have out at any one time depends on the policy of your library. But you can return a book early to free up a slot. If you have a hankering to revisit Alice in Wonderland or get stuck into the Art of War, Librivox could well be for you. This service offers over 15000 free public domain audiobooks including classic novels, poetry, biographies and non-fiction. Being the work of volunteers from around the world, the quality is variable, and you won’t find many new releases here. But you can’t beat the price. After downloading the app from Google Playstore, you can search the Librivox site by title, author, genre or keyword. It also alerts you to new releases. You can then stream or download your chosen items to your Android device. The player app is richly featured offering reviews, ratings, sleeve art, contents and description, along with a full set of controls including a sleep timer. 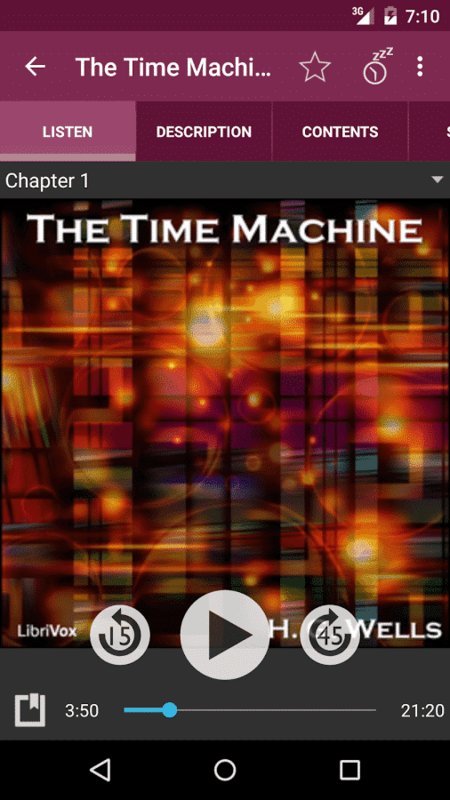 Another option is to download the audiobooks as mp3s in a zip file and play them on any device. The second way to enjoy audiobooks is is to download a player and find the media yourself. You can find audiobooks at various place on-line or you can rip them from CDs. Just drag and drop into your phone or tablet and point the app to the storage location. This method you firmly in the driving seat but the downside is that you may have to fiddle with formats. Plus, unlike services such as Audible with its vast catalog all in one place, you may have to do a bit of searching to find the books you’re after. 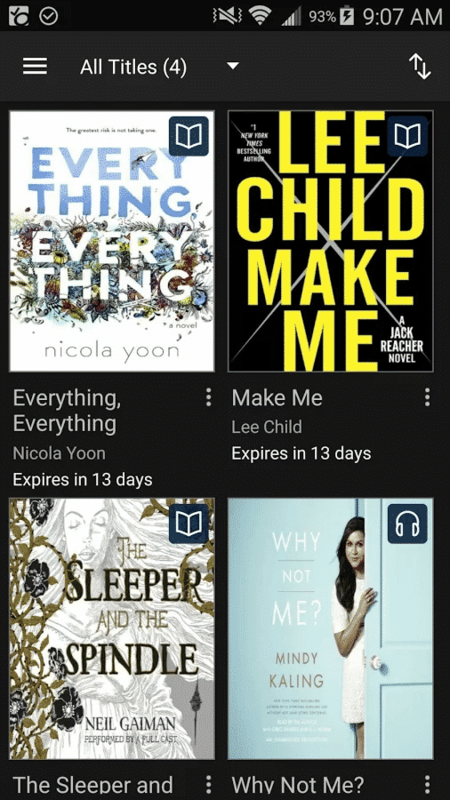 If this is the way for you, here are a few of the best audiobook apps for Android. The Swiss army knife of audiobook apps, Akimbo blends simplicity of use with comprehensiveness of features. And best of all, it’s completely free. Akimbo can automatically identify chapters and covers, remember how far you’ve read and your chosen volume. It also features a go-to dialog that whisks you to a chosen chapter or position on a page. It also handles all the major audio formats including Apple’s M4A and M4B, WMA, FLAC, and ogg vorbis along with MP3. 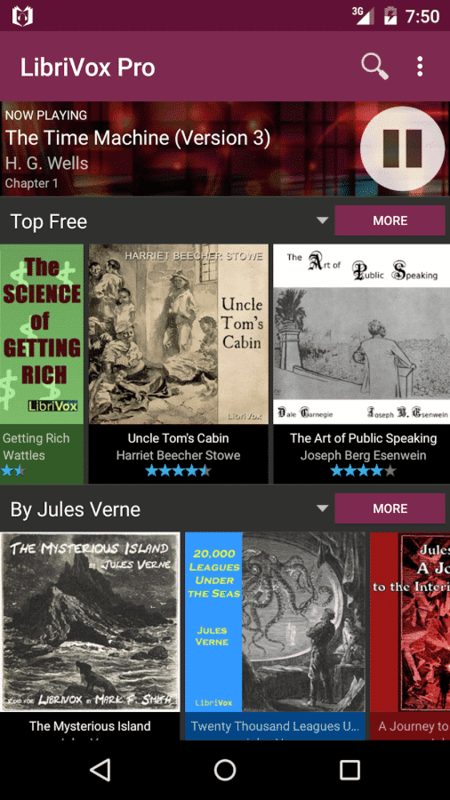 Long considered the best free audiobook app for Android, Akimbo is no longer being supported. For this reason, many users are switching to a newer option, the Listen Audiobook Player for Android. While not free (you’ll have to shell out a whopping $2), it’s a solid investment. Controls are basic but deliver all you need for an engrossing audiobook experience. Variable playback speed support is offered for mp3 files, and you can just tap anywhere on the background to play or pause. Another perennial favourite is the Smart AudioBook Player app. The basic version is free but lacks many useful features. The full version costs a modest two bucks. Try the full program free for 30 days. Then you can register or let it revert to the basic version. As a dedicated audiobook app it does everything you need including downloading covers, classifying your reading into new, started and finished. Plus it comes with playback speed control and history. It can also sync across all your devices via the cloud. The audiobook industry is booming with new apps and services appearing all the time. Please let us know your own favourite in the comments below.